Thanks Shade Aurion! Really means a lot! It's interesting that you mention Color Dungeon. Just thinking about it gives me chills, ha ha. The way Nintendo implemented that into LA DX is very weird to me. Everything about it works independently from the rest of the game, so it has a lot of conflicts when trying to use assets from that in other places. I did expand the color dungeon room data a bit, though, so there will be more rooms. This looks really, really good! Frankly I'm more excited about your hack than about the remake. One thing I was wondering: would it be possible to make the power bracelet (if included in the hack) context-sensitive, so it does not need to be manually equipped/unequipped? By "context-sensitive" I mean the power bracelet will activate automatically on one of the buttons (e.g. B) whenever bumping into a specific objects like throwable rocks. You'd still have to press the button+D-pad to lift said object. 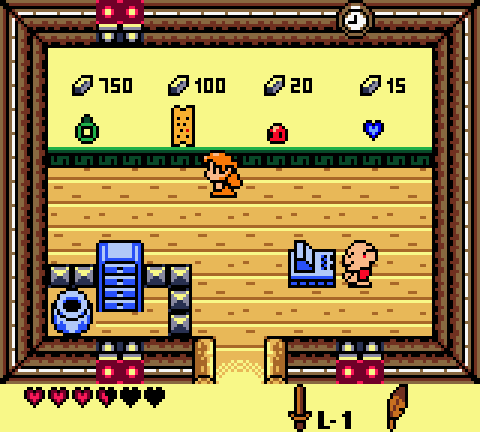 It's probably a bit tricky to make it feel natural, but it would make item switching a bit less cumbersome. Ha ha, thanks! Also, yup! I've already made the bracelet a passive item. That was one of my first priorities for this, since it was a pain having to equip/unequip it constantly in the original. It is auto-assigned to the A button. I've been working on implementing a main hand/off hand mechanic. B = main hand, A = off hand. Certain things will work better while equipped on the main hand. I've mostly just experimented with this, so nothing concrete, yet. I'm wondering what the difficulty of the game is going to be like. I wouldn't want the game to be insanely challenging, but I'd love to see more enemy variety. 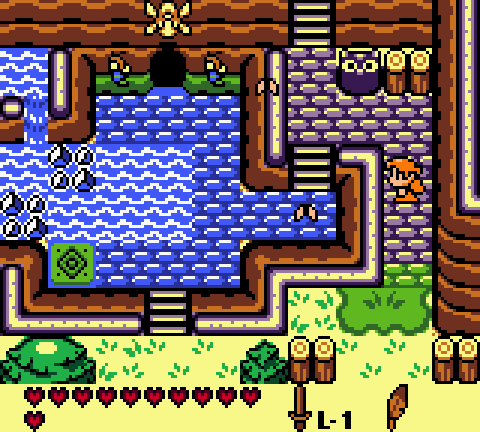 Link's Awakening had a lot of interestingly designed enemies that either rarely appeared, or weren't used with many other enemies or hazards. 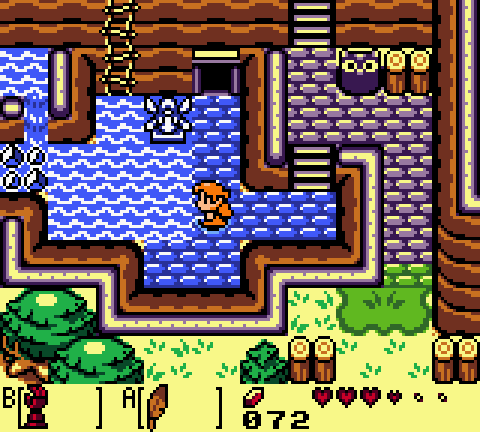 I also wonder if the wooden sword you start out with is going to be weaker than the sword you normally start with in Link's Awakening? My goal is to make the difficulty fair and reasonable. It won't be kaizo difficult - not even a little hint of kaizo will be found. Level design has been done with some guidelines in place. No pixel perfect maneuvers, no insta deaths, basically no kaizo stuff, etc. Enemies will be evenly positioned, and you'll never be overwhelmed by an abundance of enemies. 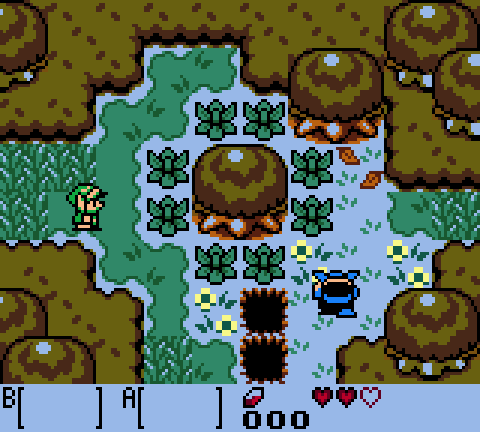 I've taken into consideration a lot of the feedback I got from my Hero Mode hack for Link's Awakening, as well. Everything has a safe, logical solution, and doesn't require you to exploit any weird glitches or quirks of the original game. Like clipping though stuff, or using invincibility frames to get past obstacles. If it wasn't in the original game, it won't be in here either. The wooden sword is weaker than the the original level 1 sword, and it doesn't get any abilities that other swords will get. (4 in total) I originally made it so the wooden sword did no damage, but after while, it got pretty tedious not being able to kill enemies with the wooden sword. So I settled on making it as weak as possible, while still being able to defeat enemies. Think about A Link to the Past. Killing a red guard would take 4 hits with your basic starting sword. Then with the most powerful sword, they could be defeated in 1 hit. Are you keeping the screenshots you've made in the three years you've been developing this? I think it would be fun to look back on the finished product to see how it's evolved. Hmm, that's a curious question! I might be able to find a few. This project actually began in early 2014, and any images from back then would look vastly different. Ha ha. I never took a lot of screenshots during the early days since I didn't make post this topic until a couple years into development. I will look to see if there are any, though. If I do, I'll post them. I loaded up one of the old backups from April 2014, and took some screenshots. 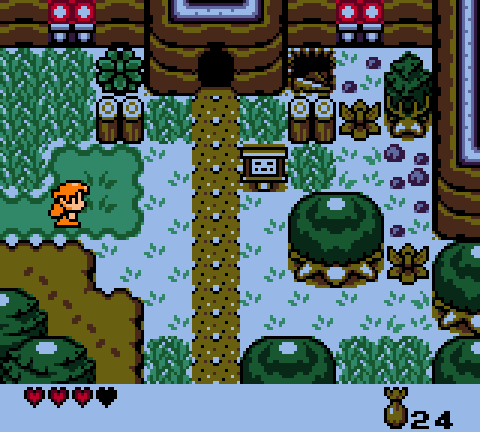 One of where the current Mysterious Cave is in the forest, and one for the house on the beach. I posted recent images of these areas a few posts ago. You'll be able to see from the comparison, that the level design has gone through many, many revisions over the years. Wow! They are vastly different! How fun is it to mold something new out of this? Making an entirely new experience out of something everyone knows and has played countless times? That's got to feel awesome. That is the best part of ROM hacking, I think. The best compliment I ever got for a hack I did was when my friend told me that one of my early attempts at a Castlevania hack felt new, but eerily similar. It's really fun and exciting! There have been times where I would work on this all day. Sometimes even at the expense of sleep, ha ha. For me, making games, or romhacking, is more fun than actually playing them. I still love to play, as well, though. 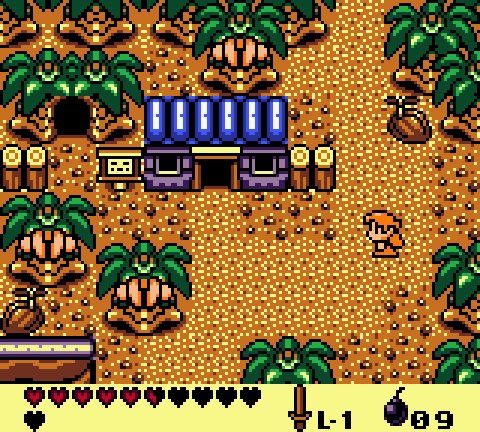 When the Link's Awakening remake arrives, I'll probably be playing that for a long time. I'm very eager to see what kind of dynamics you've implemented. 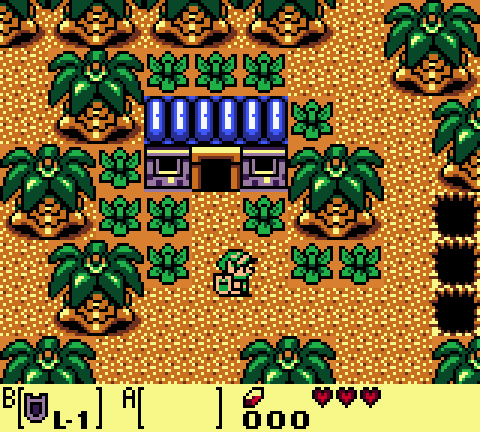 This reminds me of when I found the old alpha/beta screenshots of Link's Awakening and compared them to what the final game looked like. It's like viewing the game as a very fluid-like work of art, always changing form. I view ROM hacks like fanfiction: they're made by people who love the source material so much that they didn't want the magic to end when the story did. Keeping it alive by giving it a fresh approach is, in my eyes, the greatest love letter one could give a game. Thanks Prince Valmont! Those words are really encouraging. I just hope that one day I get to finish it. Life is full of twists and turns, so who knows. I've been working on this project for so long, that it's become like a normal part of my life, ha ha. I guess it will be done when it's done, and when that happens, hopefully it's something worth showing. Marin is one of my favorite characters in the series, so I'm doing my best to give her a game fitting for her story. Though it won't be some grand story, there are limits to what I can do, ha ha. Holy Batbracelet , you're the best! Keep at this, I really want to help with bug testing when you get to a point you're ready for it. Sure thing! It'll probably be a while before that time comes, though. There are still quite a few things not in place, but when it's in a state that is ready for playing, I'll probably look for some people to play test. 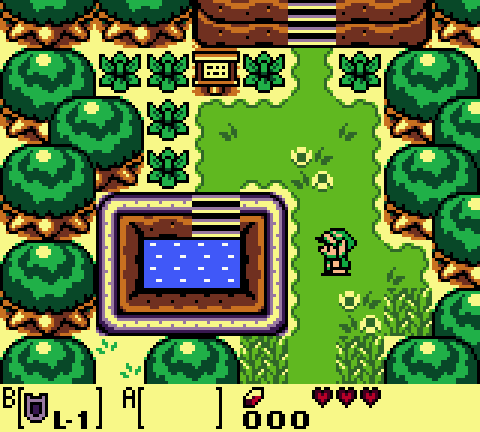 For now, the focus is just on refining a lot of what's been implemented, and I still have to design some dungeons for Link's game. Marin's dungeons are complete, but I'd like all of them to be done before any serious play testing starts. Awesome, any chance we can get more screenshots or a video? You can count me in for playtesting! Here's a video. I'm still planning to update this area, so it may look different at release. Also, it's not a dungeon, but instead an optional side quest. I do appreciate all the feedback you've given! It has given me some ideas I want to try out, so hopefully they work out. No telling what will happen, but if anything comes of it I'll make an update for it. Much agreed! Speaking of Marin, here is an image of her visiting the town shop. She is inspecting the shop's new inventory.